With detailed expertise and understanding in this business arena, we are readily involved in offering Drafting Services services. These presented services are rendered underneath the stern supervision of our crew with the usage of modern amenities. Together with this, these are rendered in between the assured frame of time and are hugely commended owing to their promptness and effectiveness. Consultant & Engineering Service Provider. ST-DESIGN team has the expertise and ability to complete any Mechanical 2D CAD Drafting requirements. We are expertise in the field of 2d drawing and drafting of various kinds of machinery items from paper to cad. Our mechanical project division deliver quality product to client in the area of raster to vector conversion, plant layout, machine plans etc. 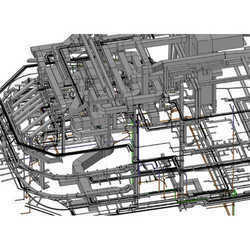 BIM Model Drafting provides MEP Design & Drafting services and work as an extended team for our customers in the UK, US, Canada, Australia and Europe to create detailed MEP design drawings for both mechanical and electrical disciplines. Shares and Subscription Agreements between shareholders. Partnership deed modification and its implications on financial aspects for each partner. Drafting of licence Agreements and Assignments. We provide 2D CAD Drawing Drafting services for Mechanical Engineers, Process Engineers, Manufacturers, Fabricators, Designers Consultants all over the Globe. Our Drawing & Design Services are absolutely an exclusive offer for our valued customers, which ensure better enhancement of the function during the work. The designs are very helpful in meeting updated requirement and modern designing tasks. Our rates are highly reasonable for providing such services. Welcome to our firm and visiting this site. The Site segment would take you to various quality services offered by us. Do write to us or speak to us for any assistance. We are always there with you for all of your professional needs. Lookng forward for long and lasting relations with you. Engineering Views: We create Orthographic projection, section, detail and auxiliary views from the master model, component, tool & dies along with dimensions and geometric dimensioning and tolerance (GD &T) symbology. 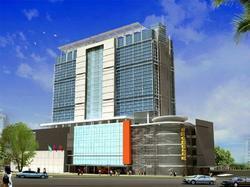 Design Presentation provides a full range of CAD design and drafting services. We serve a wide range of construction, engineering and home building clients, assisting them in their CAD design and drafting needs. It includes Drafting of Partnership Deed, Gift Deed & Trust declaration deed, D, rafting of Will, Agreement to Sell, Society formalities, Power of Attorney, HUF- Partition Deed, Indemnity Bond- Affidavit. Various deeds and legal documents drafting, filing, etc. - Delivering successfully Electrical CAD Drawings & CAD related services to the Power Generation and Power Supply Organisations both in Private sectors and Government Organisations.